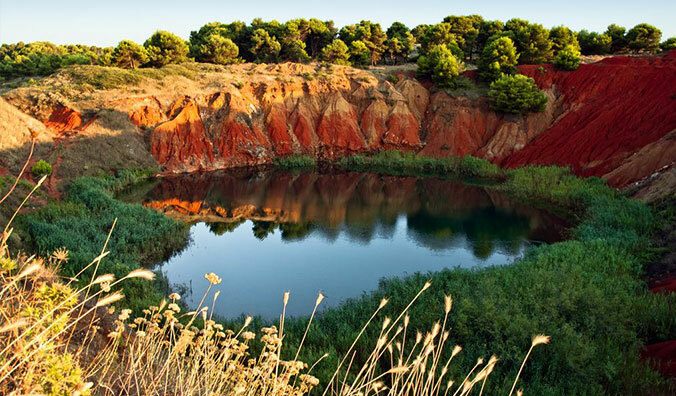 A hidden place, quite unknown, but truly worth visiting, is an ancient Bauxite quarry located just south of Otranto. 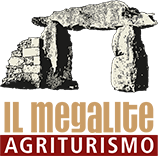 The field was discovered around 1940 and exploited for about thirty years until it was completely abandoned in 1976 because it started to be cheaper to directly import the raw material from abroad. What has remained, however, was then transformed by nature into a landscape that marvels who, by chance, or specially, arrives there. After leaving the car in country roads and having walked a few dozen meters on foot you arrive at the quarry, today transformed by nature into a small pond fed by underground aquatic layers. The contrast between the green of the water and the marshy vegetation grown around, the red of the earth and the blue of the sky creates a particular landscape, especially at sunset, when the grazing light of the sun enhances the colours making them even more vivid.